Our Recreational classes are 1 hour long classes filled with smiles and flips. Preschool, boys, girls, advance girls, and tumbling classes are available to take. 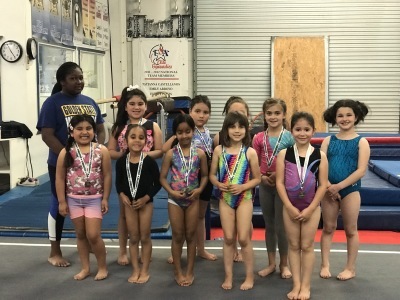 They earn awards and certifcates as they grow as gymnasts! ​Head on over to our gallery and witness the fun and quality of our program! Team is also available for the girls who want to compete. We have levels 2-10. The teams go to competitions each year winning awards in many different states. Parents can enjoy the night out while their kids join us for our monthy slumber party! Kids eat pizza and play fun games with friends! Its movie time when they go to sleep! This Months Slumber Party: April 26!!! USA Elite Gymnastics is a place to where children grow and achieve great goals. Staff is well educated and most have also done competitive gymnastics for several years. The owner of the gym, Jim Trost, has been coaching gymnastics since 1977. He is a member of the United States Elite Coaches Association. He holds a Bachelor of Science degree in Physical Education for Western Oregon State University. Jim has traveled the world competing over the years. His gymnasts have competed in State, Regional, National and International competitions. Our gymnasts have competed in Arizona, California, Colorado, Florida, Idaho, New York, Texas and many other states. "Excellent instruction, professional, and well-run organization. Jim is amazing! If you want your kids to have a true gymnastic education, GO HERE! " To create an atmoshpere that is not only competitive but safe and fun for all gymnasts envolved. We train our gymnast to not only be successful at a very young age but to have life long goals and commitments that will last a lifetime. We start training gymnasts at 2 1/2 years old. 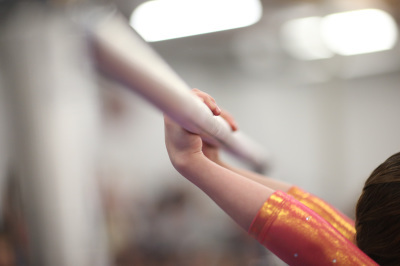 Our elite training will give your child the necessary skills needed for tumbling, vaulting, beam and uneven bars. We teach our gymnast to not only support each other but encourage team effort. Team means Together Everyone Achieves More. Gymnastics is just a short window that your child will be participating in as one of their athletic endeavors. Success comes from the hard effort that they put into the sport. Your child will carry these important lessons throughout their life.